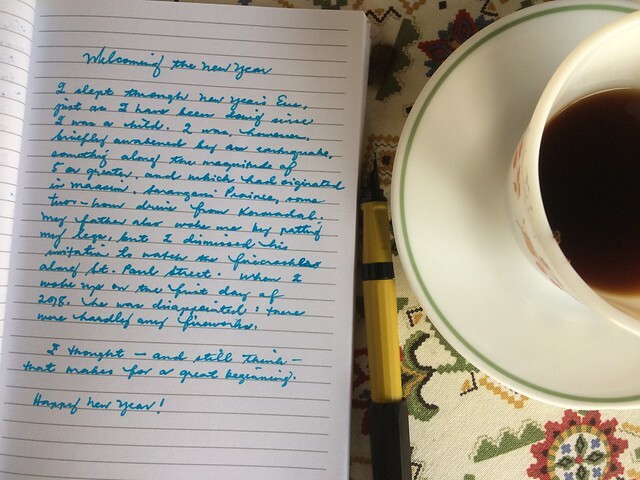 Planning to blog more regularly this year, but I also plan to write some more in my journals, like what the artist Austin Kleon recommends. A photo of my notebook seems a reasonable compromise. I used a Perkeo Kaweco Pen, medium nib, with Lamy turquoise ink. Thanks for dropping by, Sam! Ang ayos naman ng sulat mo! I read that many kids these days (at least in the US) cannot read longhand. Kelan kaya aabot ang trend na yan sa Pinas? Twould be a pity if it does.